Nobody seems to give it much thought to their thermostat when considering their heating and/or cooling system. Yet, thermostats decide when the unit will start and when it will stop. It’s like the key in your automobile ignition system. It tells the car to start and to stop. (Unless you have one of those fancy keyless automobiles.) Or a light switch that tells the lights to come on or to go off. Except, the thermostat, does everything automatically depending on where you have it set and what the temperature is in your home or business. We are going to look at two (2) particular thermostats in this article. Both are manufactured by Honeywell which is a well know and trusted brand in our industry. Both are programmable and have a multitude of options built into them. Honeywell Vision Pro® 8000. 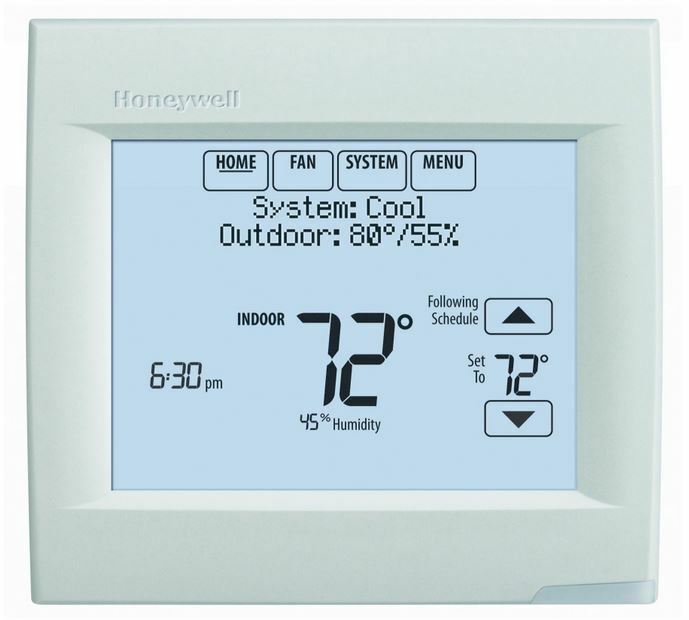 The Honeywell slogan is this: It’s more than a thermostat, it’s whole-home comfort: simplified. This one thermostat allows for; ventilation integration; humidity management; indoor and outdoor temperature sensing; wireless zoning, remote system control and portable temperature control. Ventilation Integration: this allows the blower to operate and control ventilation needs of the home or business by introducing outside air and exhausting outside air to achieve a balance of fresh air in the building at all times. Of course, this is dependent on the quality of the outside air and the temperature and humidity of the air being drawn in. Humidity Management: select models have a dehumidification setting that will allow the inside temperature to go as much as 3 degrees below set point to try to lower the humidity on extremely humid days. Indoor and Outdoor Temperature Sensing: these sensors are wireless so they can be mounted remotely in a spot that is not affected by the sun. Wireless Zoning: up to four (4) zones when integrated with a True Zone Panel and an Adapter Kit. Remote System Control: can be remotely controlled via computer, tablet or smartphone. 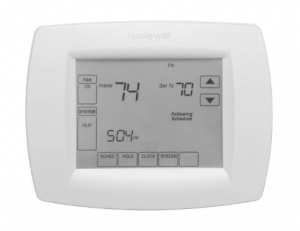 Honeywell Wi-Fi VisionPro® Thermostat. Comport, Connectivity and Energy Saving. 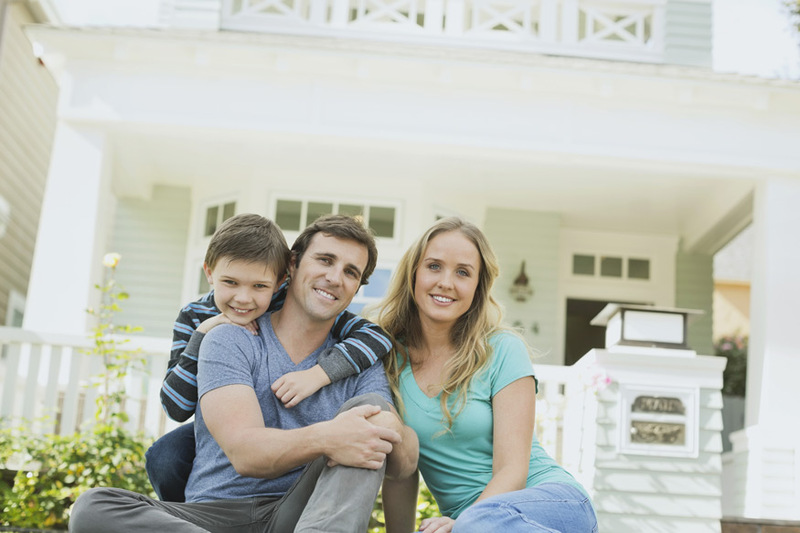 Energy Savings: Can be programmed to save up to 33% on annual heating and cooling costs. Change/Check Reminders: Lets you know when to service or replace filters, batteries, etc. Dual Fuel Capable: Select models allow for control of dual fuel systems. Multiple HOLD options: Allows you to override the program schedule as desired, with temporary and vacation hold settings. Connections: Connects to the home’s/business’s existing wireless system. Your home or business can benefit greatly by utilizing the technology that is now available to you at an affordable investment to control your energy usage. Programmable thermostats will allow you to set back the temperature when you are not home or at work and allow you to take the temperature back to your desired set point before you arrive so you enter in comfort. No waiting for the space to heat up or cool down. If this is a savings that you would like to hear more about; call Williams Service Company at 1-800-522-6444 and one of our knowledgeable staff would be happy to tell you more about saving energy in your home or business. Williams Service Company – Serving South Central Pennsylvania since 1979. 24 hour service, 7 days a week, 365 days a year.